Introduction: Very little ink was spilled analyzing the relation between medical thought and practice on one hand, and the medieval Islamic State and the religious institutions, on the other. 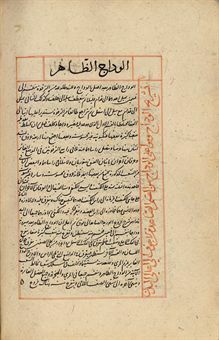 Although figures like the chief physician and the market inspector were always sought to explain this relation, little attention was paid to the Islamic hospital and how it influenced such relation by virtue of being under the direct auspices of the courts and the site of practice for a number of the most brilliant physicians and medical theorists in the Middle Ages; such as Al-Rāzī, Avicenna, Ibn alNafīs and others. More importantly and as will be shown in this paper, much of the work on the chief physician and on the Market Inspector and their role regarding medical practice was based on very brief and limited reading of the sources, which did not try to venture into the legal and administrative literature, and was satisfied with the general and passing remarks about medicine in these sources without proper evaluation of their intellectual context. The following are very general remarks on a much longer research, which occupied most of the last three years, at the end of which the need for more work became clearer. 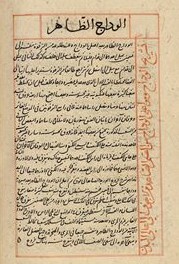 It is a trial to pose a number of questions and to suggest some general outlines for a more detailed study on how Bīmāristāns affected the relation between the political, the religious and the medical. Large part of the problem of discussing the role of the State or the relation of its institutions with a particular scientific, intellectual or professional practice is the vagueness and the possible inappropriateness of using a term like “State.” The usage of such term poses a risk of anachronism, since the term is loaded with different meanings derived mostly from the European political and intellectual history. The term “State” is universally used as a translation of the Arabic word Dawlah in both its medieval and modern incarnations. Here, the risk of anachronism is not related only to the English word, or its equivalents in other European languages, but to the Arabic word as well. It is not a problem of terminology or translation, but rather a problem of a Representamen changing its object over time. In this case, the usage of the term “State” is not problematic as long as the medieval incarnation of “Dawlah” is properly exposed and carefully understood.